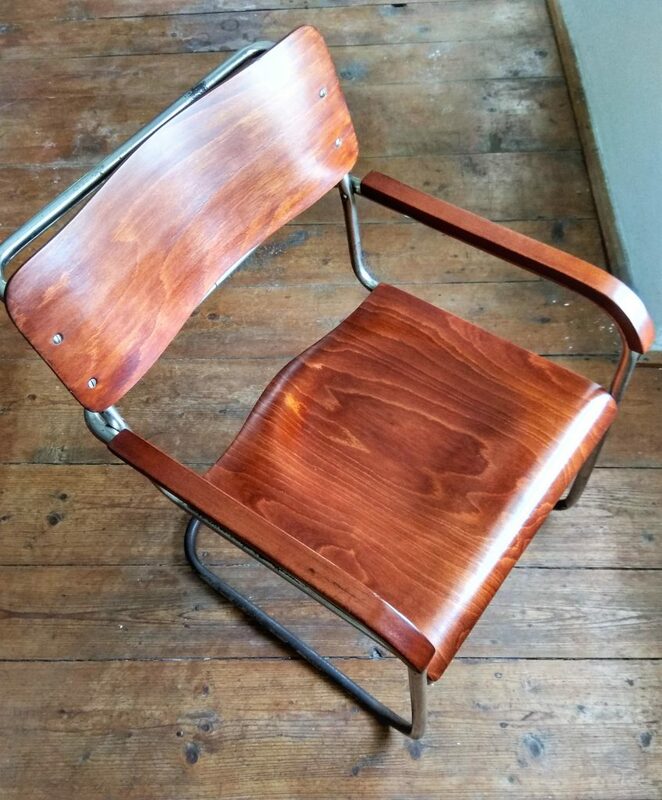 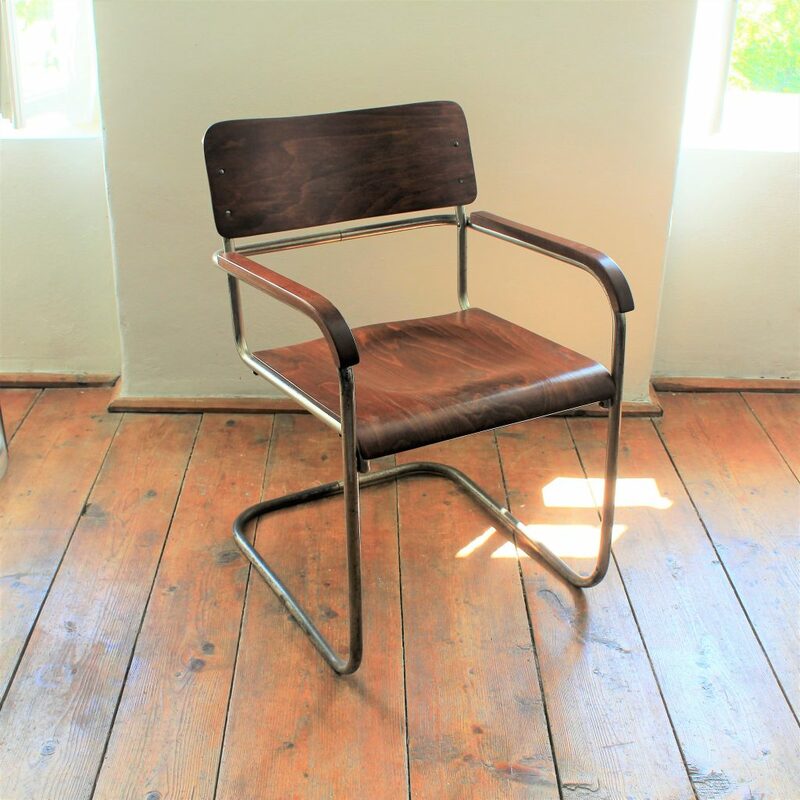 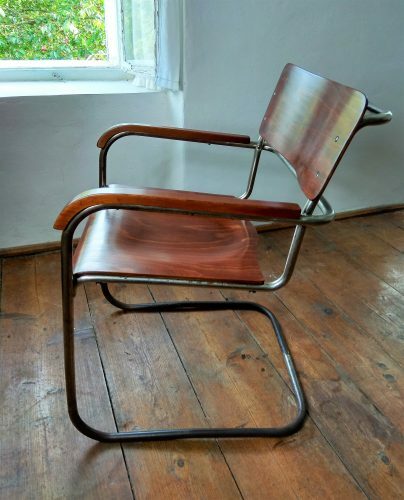 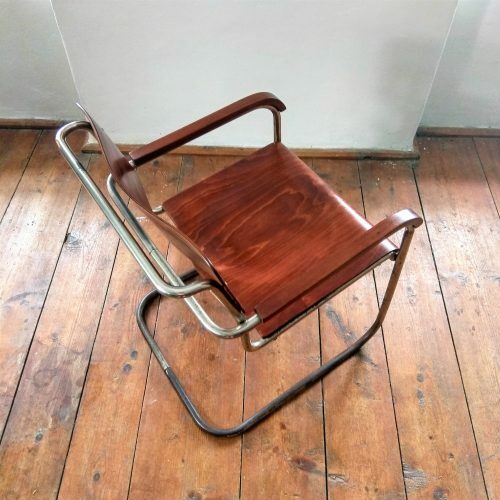 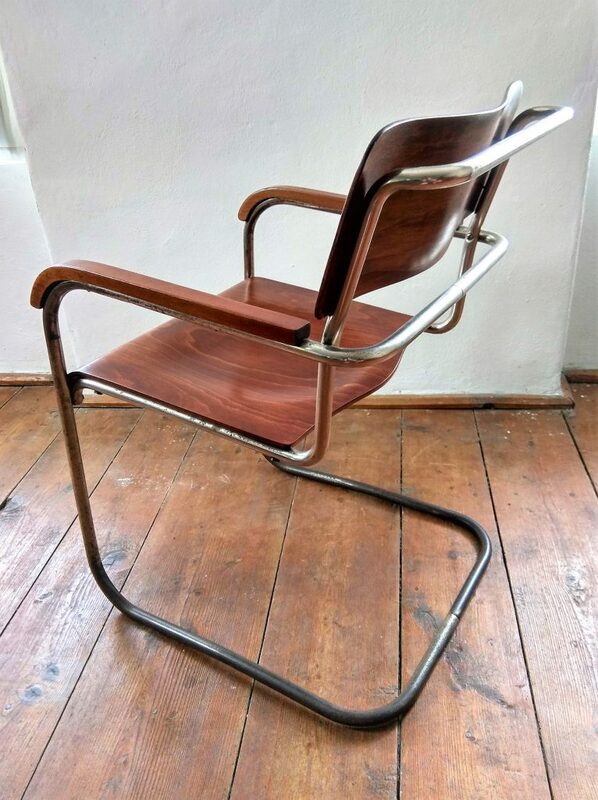 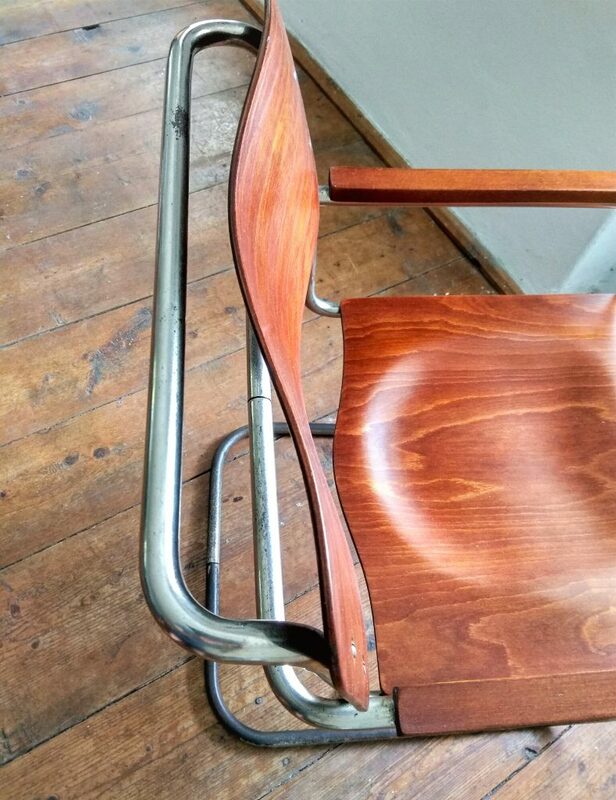 Rare version of the B34 armchair, which was originally designed by Marcel Breuer in 1928 for Thonet. 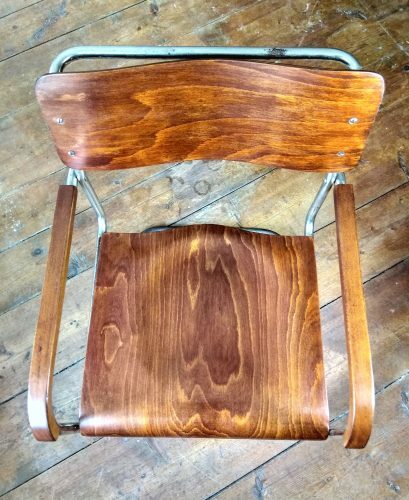 Specifically, this chair was probably made by Kovozávody in Zlín between 1928 and 1948, when the company was nationalized. 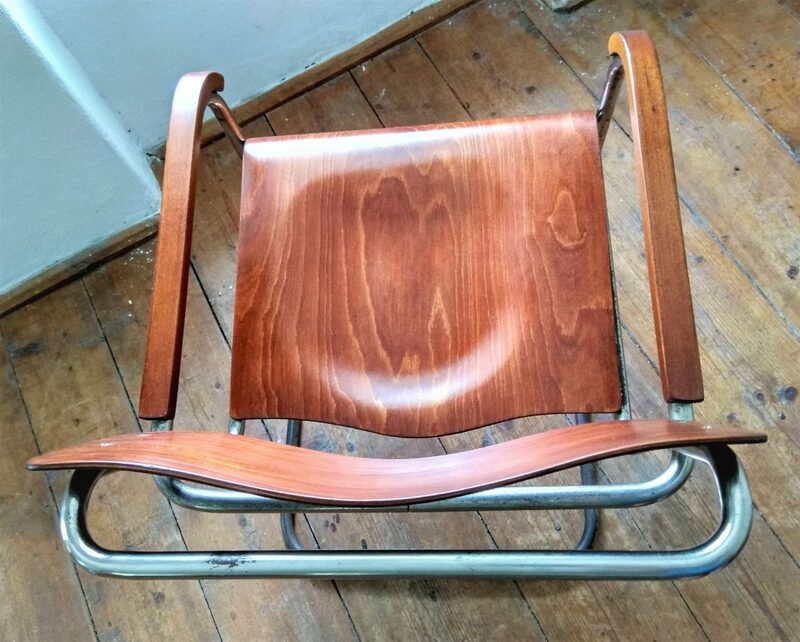 This company’s armchairs and chairs were used by the Baťa Company. It is a beautiful example of functionalist simple but impressive design. The chair is quite spacious and very comfortable. 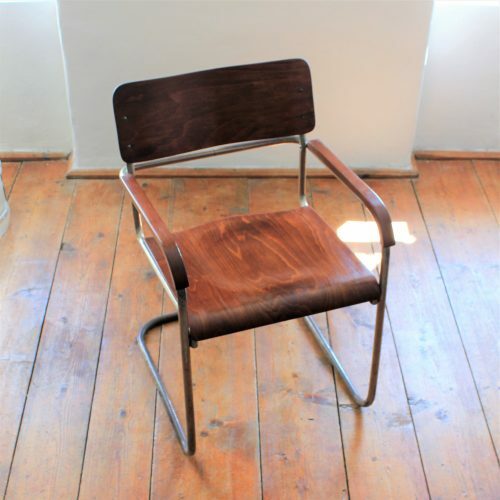 The seat is very unusually shaped, just like the backrest, which underlines the elegance of the chair. 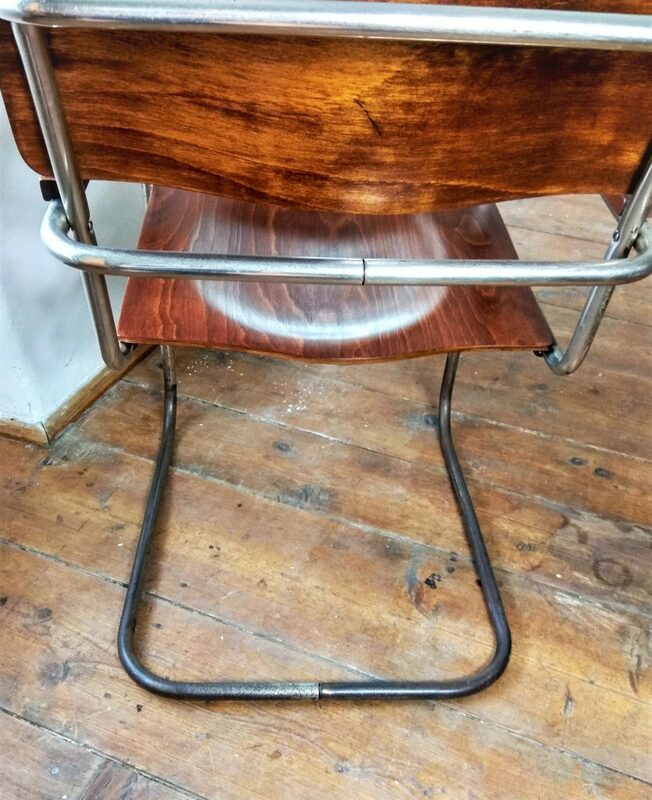 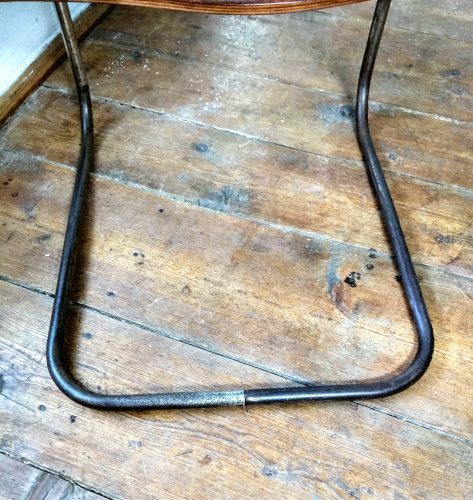 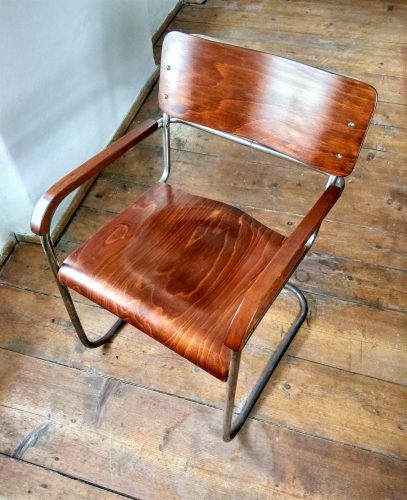 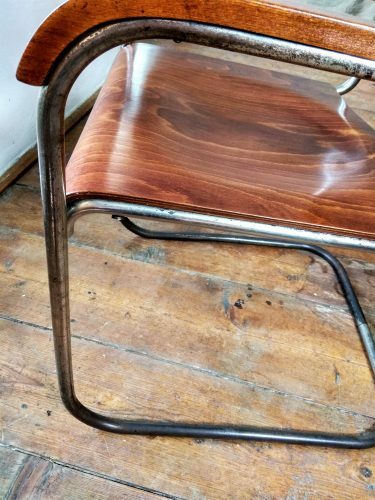 The armchair is in very good original condition, the chrome surface has a distinct patina hunted over the course of years, especially in the lower part. 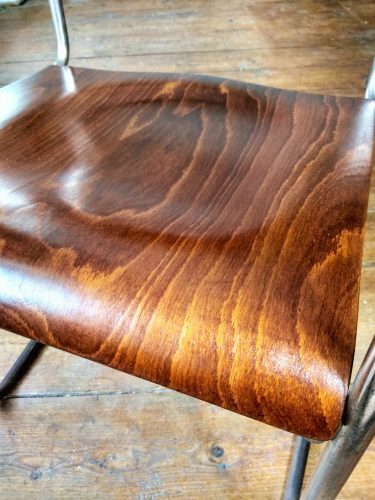 All wooden parts are completely renovated, the wood structure is underlined and naturally preserved using the shellac varnish. 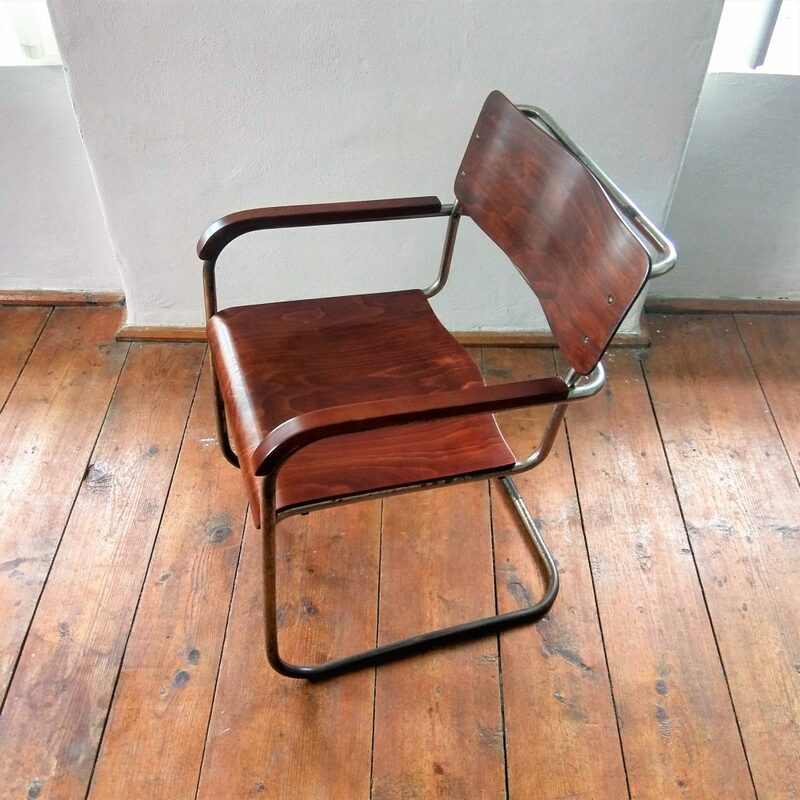 Collector’s piece for your home/office.